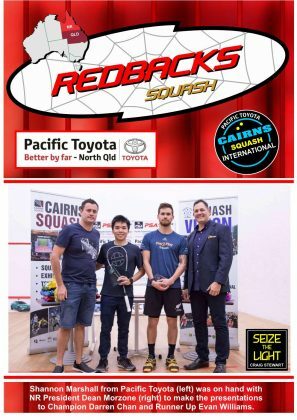 The January 2019 issue of the Northern Region Redbacks Newsletter is here! 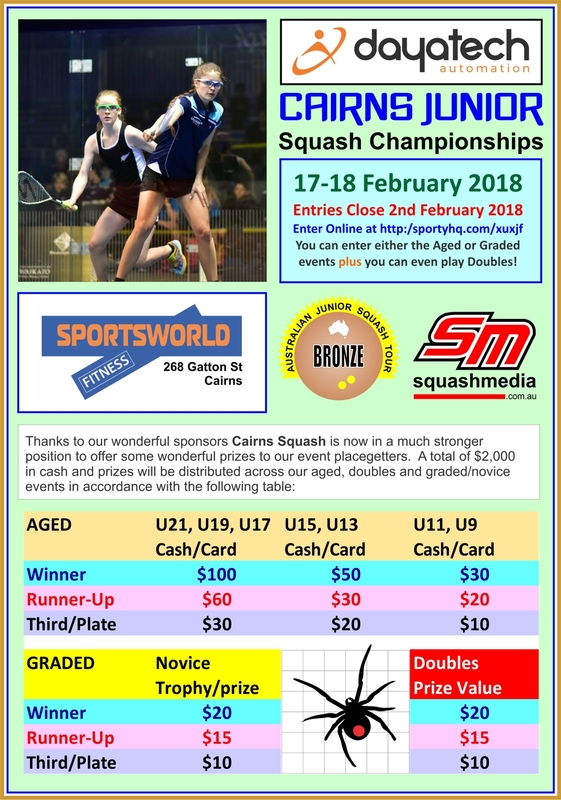 The second Northern Region Junior Qualifier, the 2019 Smithfield Dental Cairns Junior Squash Championships, will be hosted at the Cairns – Sportsworld Fitness Centre on the 16th to 17th February 2019. 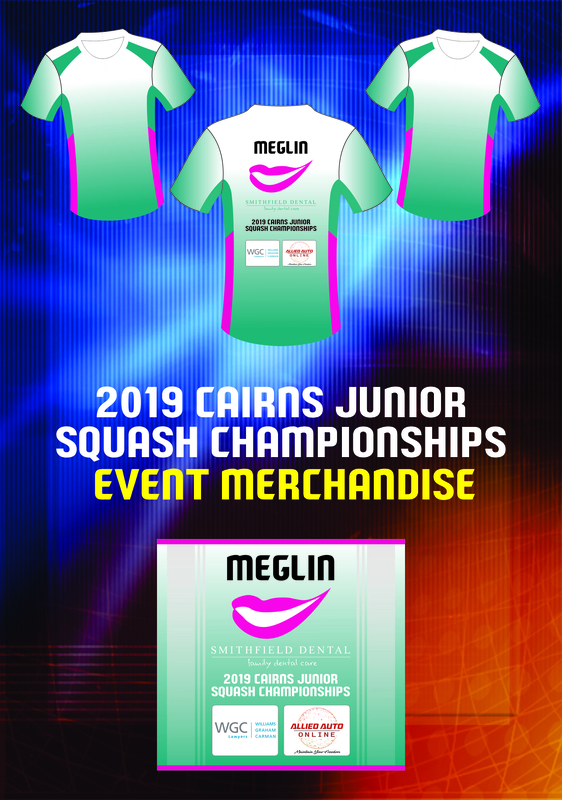 The 2019 Smithfield Dental Cairns Junior Squash Championships is a premium regional junior tournament with OVER $1800 in PRIZES/GIFT CARDS. 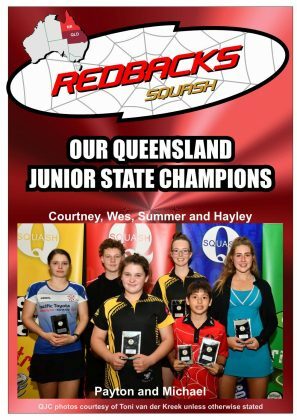 Players need to compete in this tournament to be eligible for selection on the Northern Region Redbacks team, which will compete in the Queensland regional teams event at the 2019 Queensland Junior Championships (QJC). Games may be scheduled for Friday evening for available players. Otherwise players are expected to be available between 8:30 am and 5 pm on Saturday and Sunday except with prior approval. 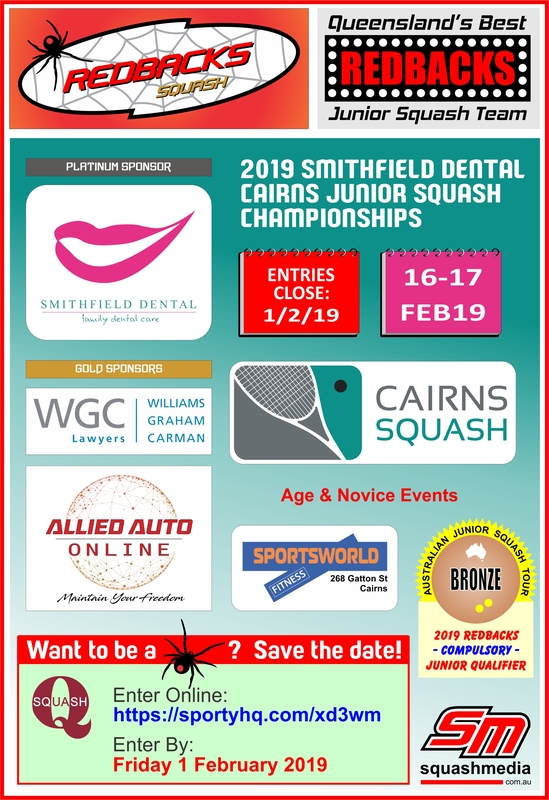 The 2019 Smithfield Dental Cairns Junior Squash Championships will commence at 8.30am sharp on both days. Players are to be present and checked in with Tournament Control 30 MINUTES before the scheduled time of their match. Game scheduling is an estimate of game times. Please be aware we will be “following on”. 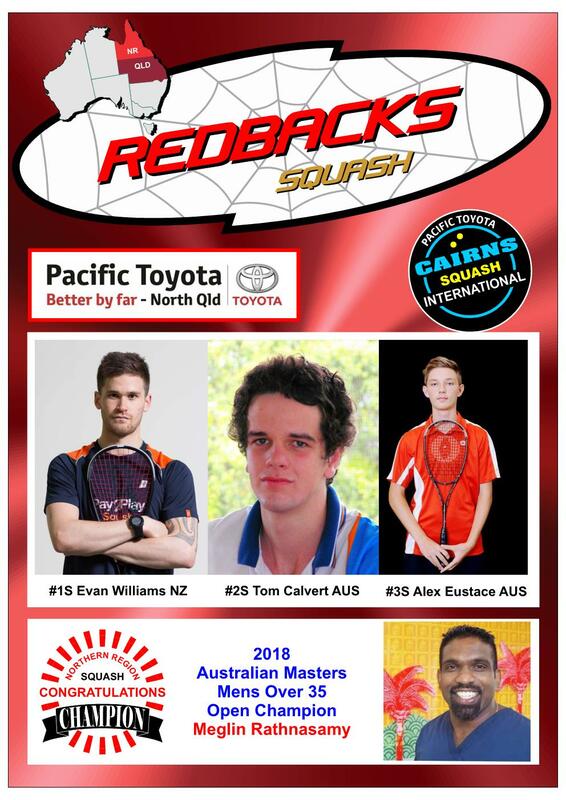 2) Doubles team event for Aged Championship Players only. 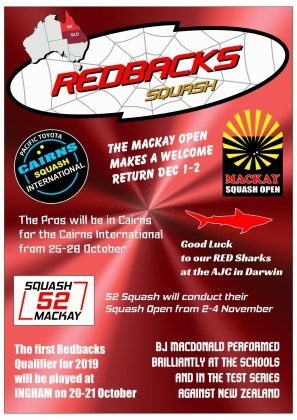 The tournament promises to be a fun event for all junior players. A dinner (assorted finger food) is planned for Saturday night at The Downunder Pool Bar Cafe, starting at 6.30pm. Tickets are $20 for Adults and $15 for Juniors. Please order tickets when completing your nomination and pay Saturday morning when you check in. Friday, 1 February 2019 11.45pm. * Event merchandise will be available via pre-order ONLY. * There will be no refunds given on merchandise. * Sizing charts are available on the order form. * Supporters can also order. * MERCHANDISE ORDERS WILL CLOSE ON FRIDAY, 4 JANUARY 2019. * You will be invoiced for your order once orders are finalised. 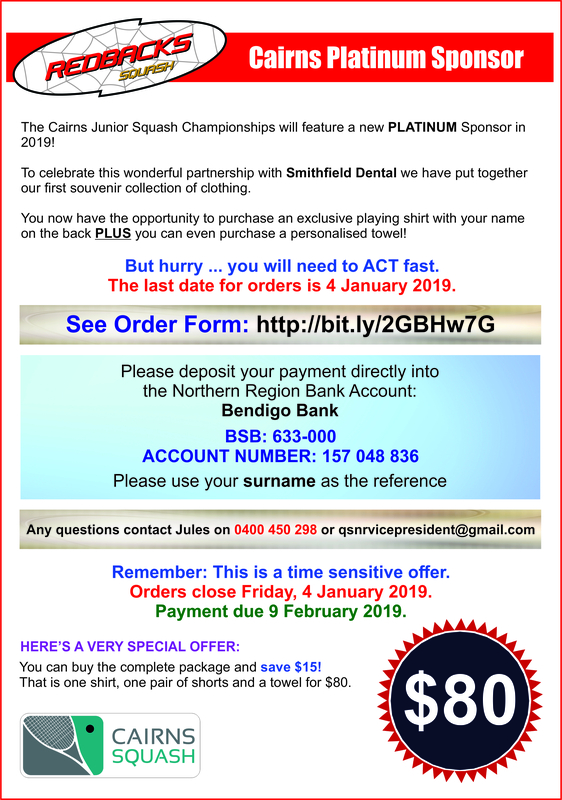 * ALL ORDERS TO BE PAID BY 9 FEBRUARY 2019. 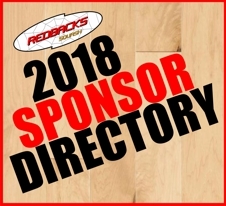 The December 2018 issue of the Northern Region Redbacks Newsletter is hot off the digital press! 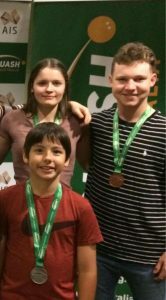 A huge THANK YOU to all the Squashies for their hard work to make Squash great again!!! Merry Christmas Squashies, see you on the court in 2019. 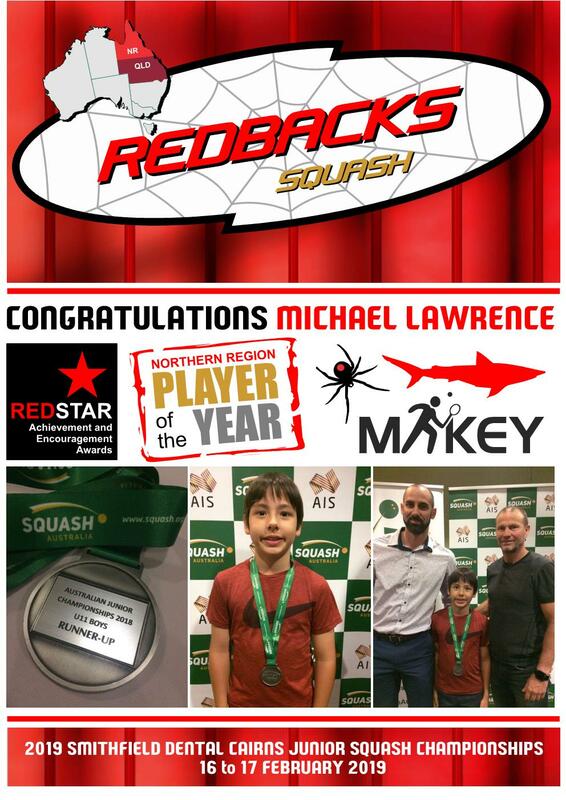 The October 2018 issue of the Northern Region Redbacks Newsletter is here! 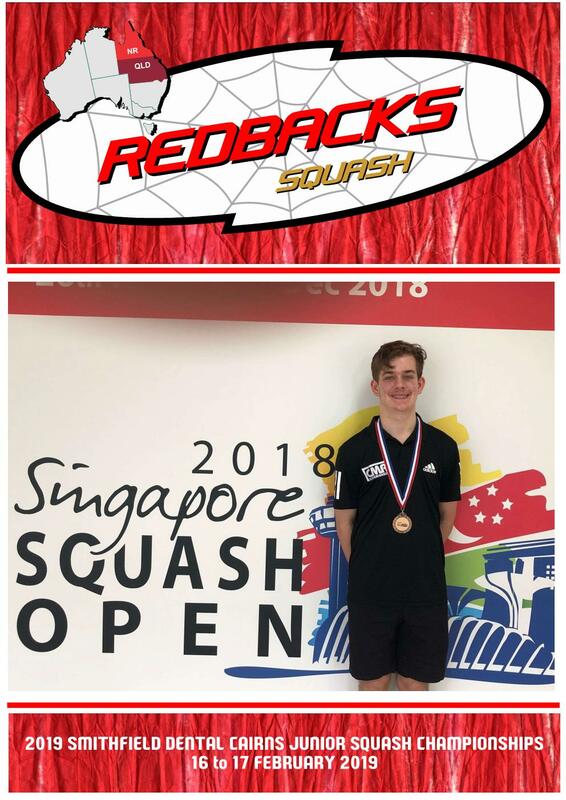 The September 2018 issue of the Northern Region Redbacks Newsletter is here!